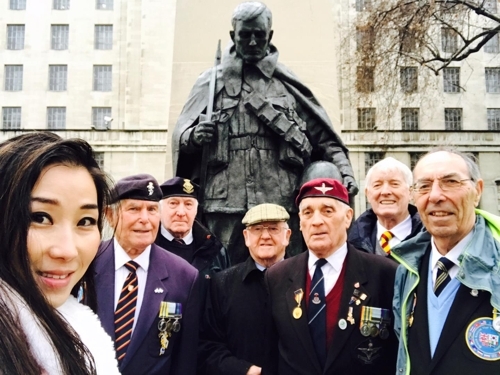 Since January, Hannah Kim(Korean name Kim Ye-jin, 34) traveled to 24 countries that took part in a Korean war across the world for four months starting from Los Angeles, USA, where she met two hundred Korean war veterans, and Hannah Kim (left) takes a picture with British veterans of the Korean War. "We are still in a state of truce," she said in an interview with the Yonhap news, "I hope people don't forget that the 6/25 war is past, but 7/27 is the present and the future." she proposed to make the day of the armistice July 27th 'peace day' of the year. 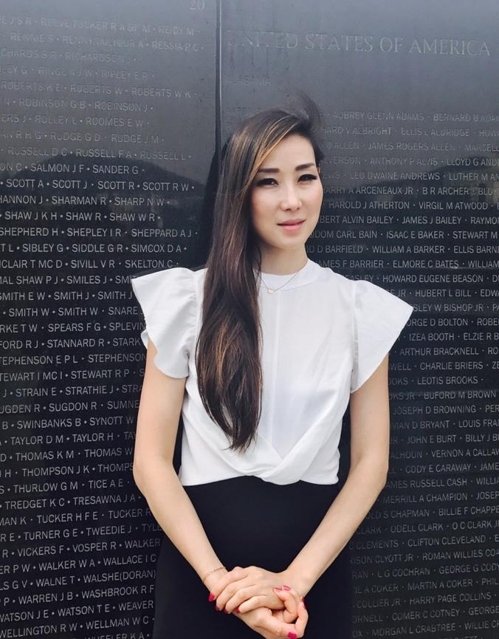 Kim was a senior aide to former US Congressman Charles Langle (86), who retired from Washington DC in 2016 December. 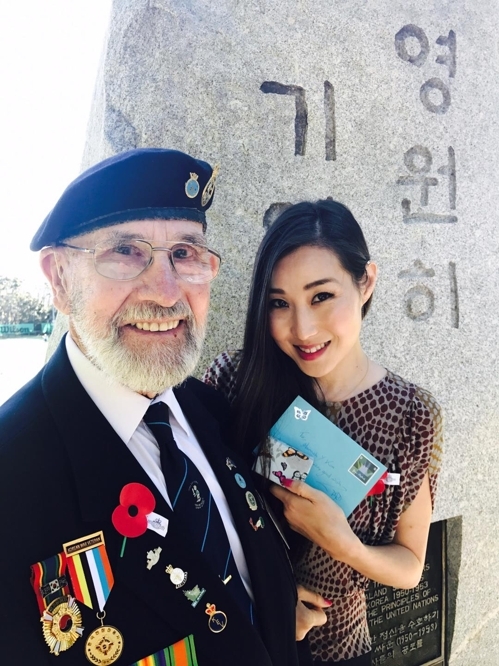 Kim left the Washington with the retirement of Langel in order to meet the Korean war veterans around the world in person and to carry out her goal of expressing gratitude. Charles Langle is former veteran of the Korean War and admirer of Korea who served as a member of the parliament for 46 years, led the resolution of the victims of the comfort Korean women(sexual slavery)of the Japanese military during second world war in 2007, a resolution calling for reunion of separated families due to Korean war in USA and led the establishment of the 6.25 war memorial. Kim started her journey from Los Angeles on January 19th and after going to Canada - Colombia - United Kingdom - Russia Moscow - Sweden Europe - Greece - Turkey - South Africa - Ethiopia - India - Thailand - Philippines - Australia - New Zealand - Japan - China - Busan - Russia Vladivostok, she finally came to Seoul on May 19th. Kim finished her journey with her own money from severance pay and contribution and encouragement collected by relatives, friends and fellow politicians. Kim remembers the story of the veterans whom she met on this journey. Sometimes she pulled out the pictures of veterans stored on her smartphone and showed it during interview and told the story of many notes she wrote on the site to write a book later. Throughout the interview, she called veterans "grandfather" and "grandmother." "I am very much in thought of what I should do for the realization of true peace on the Korean Peninsula and I am praying that I will achieve it everyday."